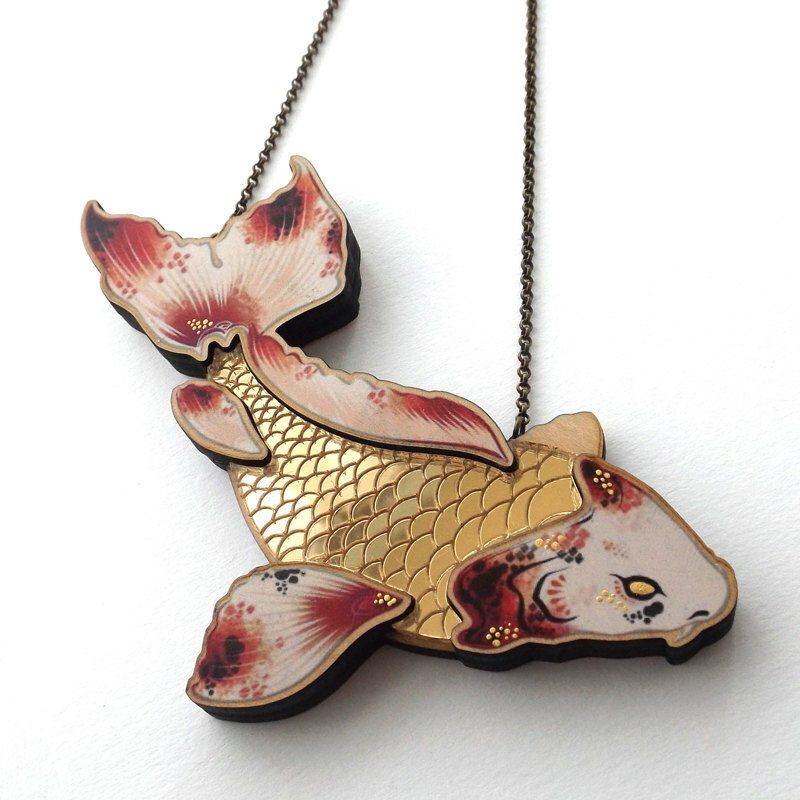 I haven't gone jewelry shopping in ages, so let's hurt our bank accounts together, shall we? 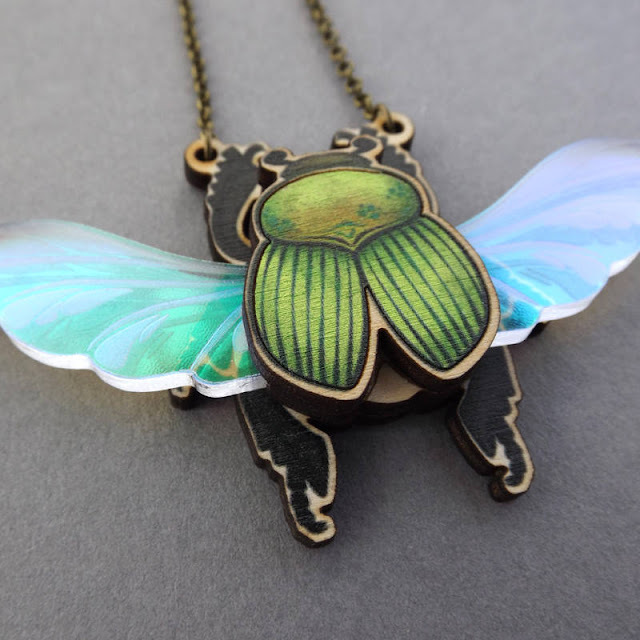 Even the wood has iridescent paint on it! 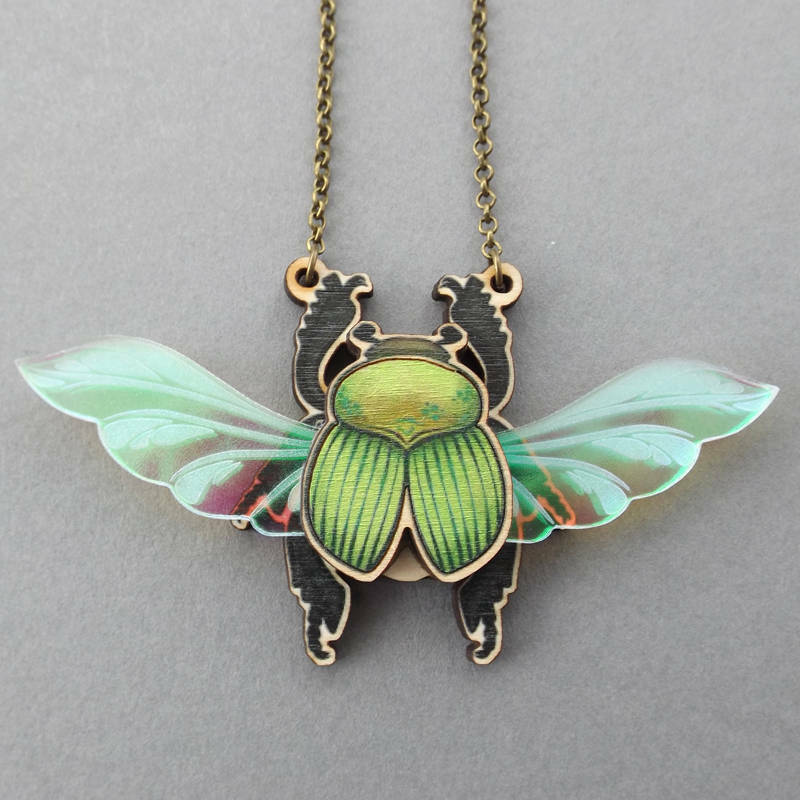 I'm not generally a bug jewelry kind of girl, but this is stunning. These are BIG, btw; about 4.5 inches across for the Koi. 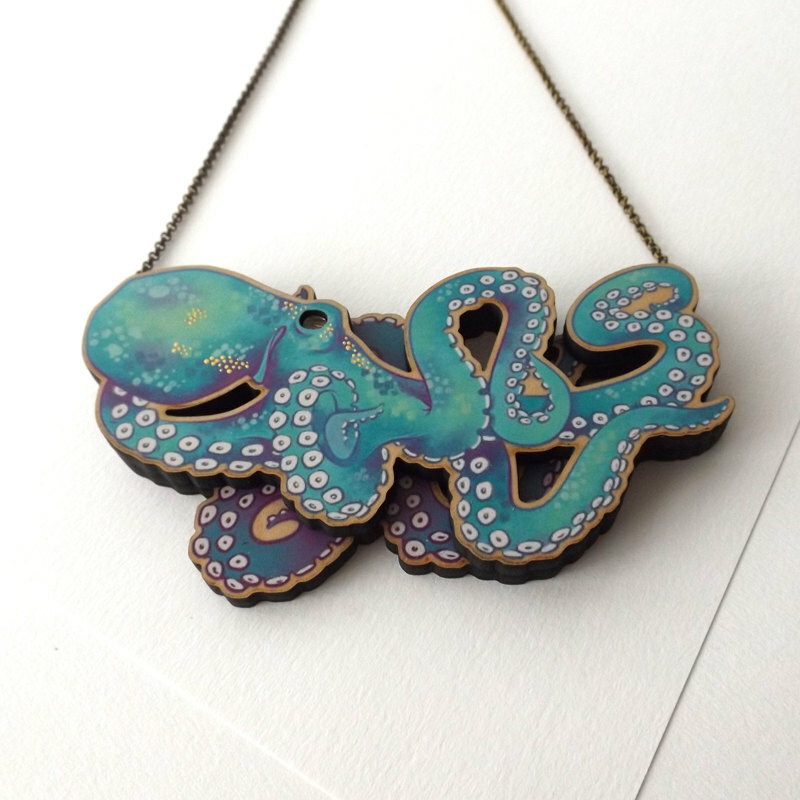 True statement necklaces! 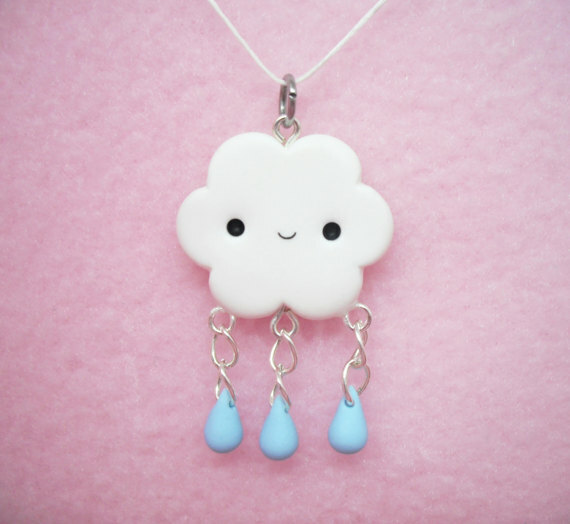 Next up, Dori of Rainbow Overflow makes the most adorable polymer clay charms, and most only cost between $5 and $7! She also has Kawaii plushes and Studio Ghibli charms and sooo much more - it's hard to pick just a few favorites, so go see the rest! 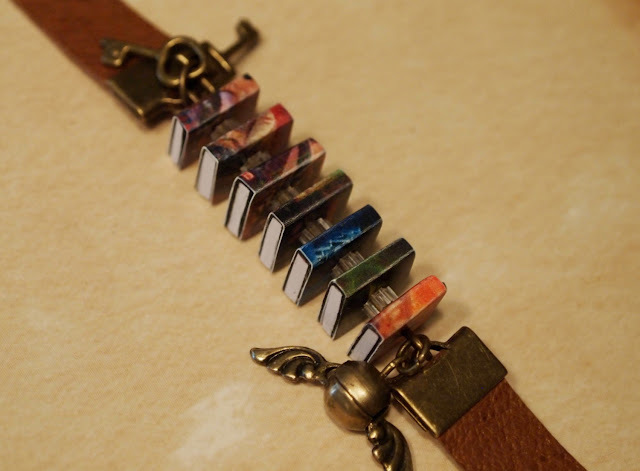 Go browse her shop for over a hundred more book-themed pretties. 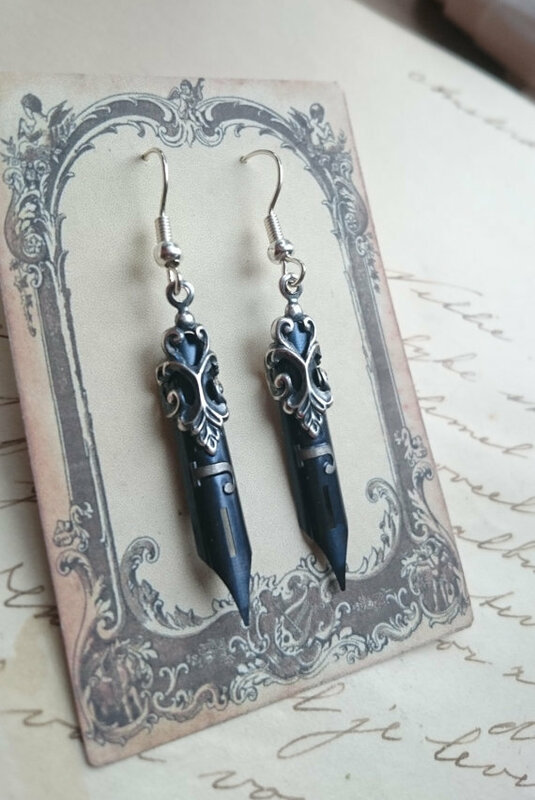 Pen nib earrings, made from 1950s pens! 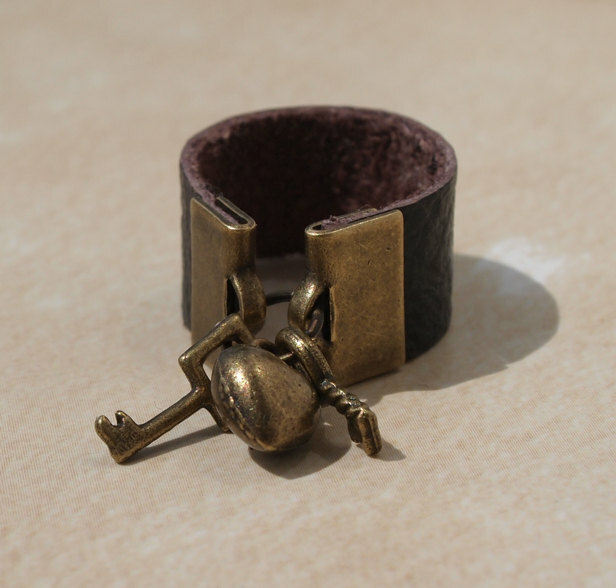 They're about $15 each, and for adjustable rings look pretty dang awesome. That's less than $18 - and her shipping is shockingly cheap, too; just $3.50 to the U.S. Go browse her shop to see everything from tiny resin skulls to vintage top hats, and lots more jewelry gems. Hope you guys had fun shopping with me! I love finding super different styles, so there's something for everyone. What's your favorite today? And what have you found lately that I would like? Share your links in the comments! Lots of adorable little things, and the artist posts on FB frequently with new items for sale. You would probably love them! I can't get over the pen nib earrings---DANGITALLTOTHEHEAVENS! Why can't I keep my ears pierced? I'd pick up those in a freakin heartbeat. Thank you so much for sharing these links. My daughter has a leopard gecko for a pet and is graduating 8th grade next week. I just ordered her the wood gecko necklace for her present. She is going to love it! 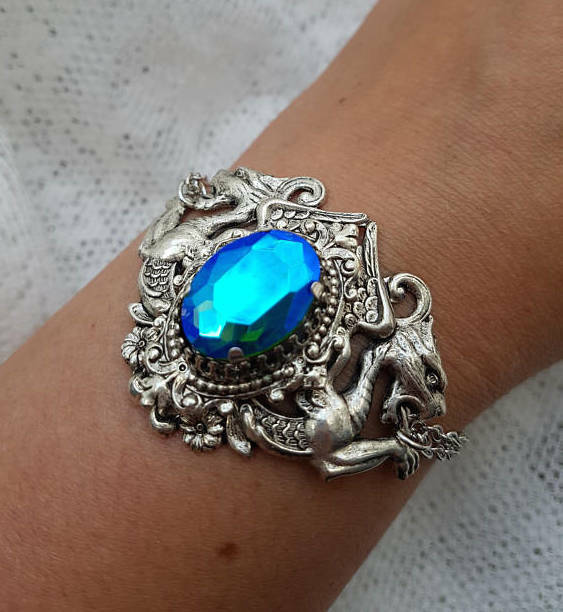 Thanks so much for sharing your jewelry finds. I love them. 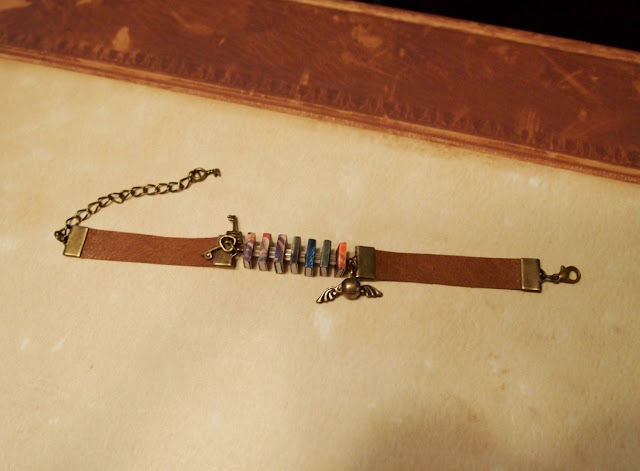 I think you'd like the chainmail jewelry at IronLaceDesign! It's gorgeous, and my kids can't break it. 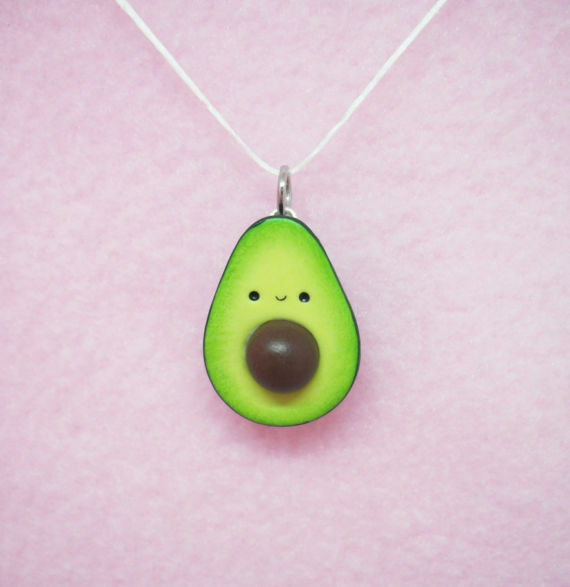 I have a sudden NEEEEEEEED for that kawaii avocado charm! 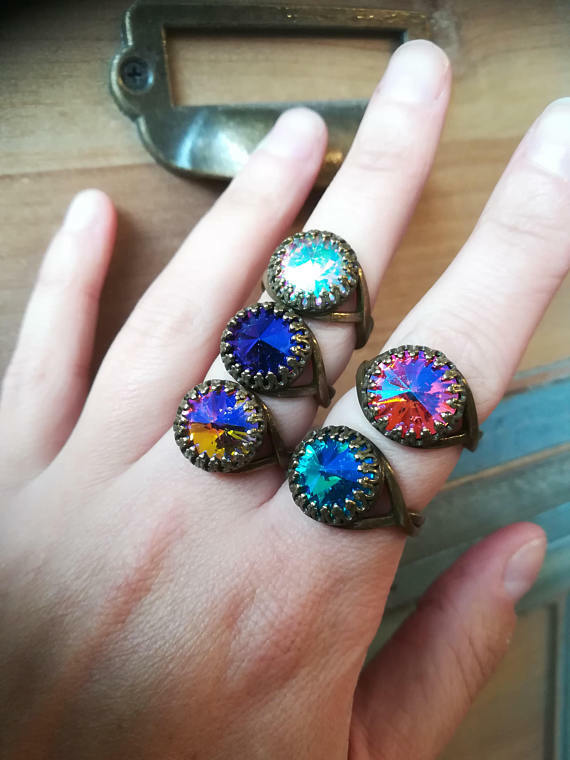 Thanks for making another jewelry post! I enjoy them a lot. 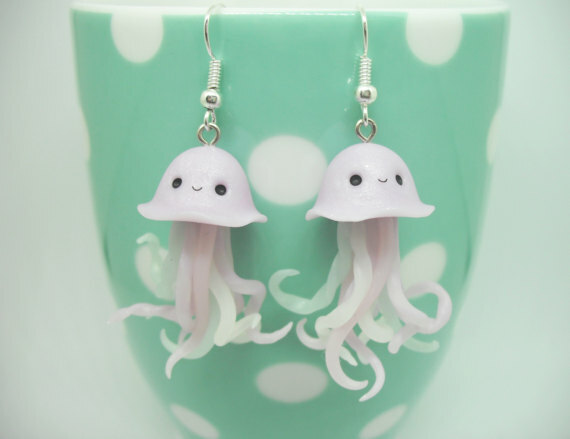 Well, I was too slow on the pen nib earings-- as they say, all is fair in love and Etsy. May their owner enjoy them immensely. 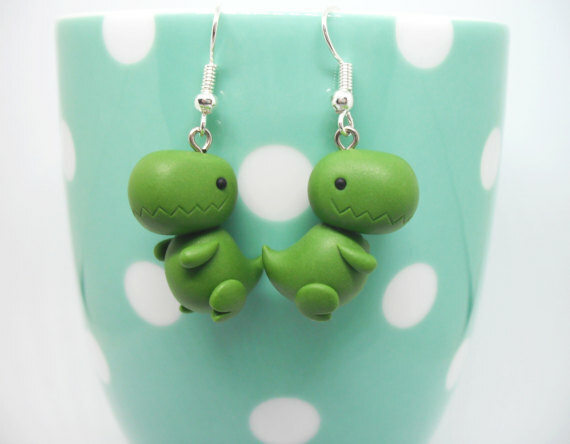 Etsy owners are often glad to make things for you if you request them to!